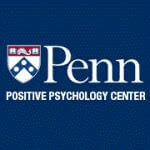 Interested in pursuing your love of positive psychology further? Good news—in recent years, we’ve seen more and more opportunities arise for developing that interest academically. On this page, we’ve listed MAPP (or relevant related) opportunities from a wide range of institutions across the world. For those who can’t find something locally in this list, we’ve also included excellent Distant learning options. And, to reflect the manifold applications of Positive Psychology—in education, social work, therapy, counseling, and more—we’ve included how the different Positive Psychology MAPPs aim to cover specific subfields. Different Certificates, Diplomas, and qualifications are available for all kinds of graduates and professionals who want to study Positive Psychology. Besides the more general ‘Positive Psychology Diplomas’ and similar, there are certificates and qualifications around the world that focus on what we just referred to as ‘subfields’. More strictly speaking, there is a range of disciplines in which PP approaches and tools provide value, such as teaching (Positive Education), sports (Positive Coaching), and more. It is possible to apply online for most of the Positive Psychology study options we have encountered; on this site, we also have a list of Positive Psychology courses that are being updated all the time. What’s right for you will depend on your level of interest, prior experience, and available time to commit, but the Masters of Applied Positive Psychology is one option that is growing in popularity. As with most other Master’s programs, universities offering a MAPP will often accept applicants who have either relevant professional experience or a Bachelor’s degree. Some will require that this undergraduate degree is from a related field, while others don’t have this prerequisite. Is a Degree or Work Experience Essential? If you would prefer not to apply on the basis of your Bachelor’s degree or work experience, you may want to try out a less demanding postgraduate pathway first. Of course, that isn’t to say the content will be vastly different, but there are postgraduate study options which aren’t as time-intensive as a Master’s. Several of the MAPP opportunities listed here are offered by institutions that also run postgraduate diplomas or certificates; Angela Ruskin University and New Buckinghamshire University are two examples. The credits earned from successfully completing one of these qualifications may well be transferrable over to a MAPP if you wish to continue on later down the line. As opposed to a Masters of Positive Psychology, a Masters of Applied Psychology (MAPP) program is designed to impart more of the practical skills, tools, and knowledge that can be applied straight away. An MSc in Positive Psychology, on the other hand, will often be more theory-focused; it will often be structured so that students learn about the key thinking that has shaped—and continues to shape—the field. Both, of course, consider evidence, interventions, and theories of key PP topics: wellbeing, mindfulness, happiness, strengths, flourishing, and more. A MAPP, however, is more about applying theoretical and research-based insights in your professional practice. As an example, the University of Pennsylvania has the longest running, and one of the most famous, MAPP programs worldwide. The University of Pennsylvania (UPenn) is home to the world’s very first MAPP program and it has no defined course prerequisites. Martin Seligman, one of the field’s founding fathers, helped to establish this course and sits on the faculty team. The Applied focus of this degree means that course covers the tools and techniques for Positive Psychology interventions, potentially for a whole range of interdisciplinary applications. Applying Positive Psychology Interventions in Institutions. New applicants can join during the Fall semester, which starts in September and runs for five weeks. The course boasts a hybrid structure, which means that one week of on-site learning each month is followed by distance learning modules until the next month’s on-site. After completing the core modules, students complete a capstone project, an opportunity to apply the knowledge learned in their research or professional settings. Entry Requirement: A Bachelor’s from an accredited institution, with a GPA of 3.0 overall. Applicants must also provide evidence of analytical and quantitative skills from prior coursework or an exam. Where: On-site sessions at UPenn, Philadelphia Campus, plus distant learning modules. Find out more about UPenn’s MAPP at the official website. If you are based in the UK and looking for a MAPP opportunity near you, here are some great options from accredited institutions. These include the University of East London’s MAPPCP, Angela Ruskin University, and Buckinghamshire New University. This program is a Masters of Science (MSc) that can be studied either by distance learning or on-site at the University of East London (UEL). This course also goes by the acronym MAPPCP—Master of Positive Psychology and Coaching Psychology. The UEL is the first institution in the world to offer this unique combination of specializations, having combined elements from two of its other Master’s programs. In this respect, the course offers an original approach which synthesizes theory and research for applied, modern training on wellbeing. Three are coaching modules, two are research methods-based, and a further three are focused on Positive Psychology. Students will learn not only about key topics such as motivation, goal-setting, and cognition but also about how these overlap with one another and with the coaching aspects taught. Entry Requirement: A degree, preferably Social Sciences-based, with a minimum of 2.1 honors. Where: Campus-based in London or online for distance learning. Price: UK or EU applicants £10,200 (full-time) or £1,700 per module (part-time); International applicants £13,260 (full-time only). Distance learning fees are module-only, at £1,700 for international and UK/EU applicants. Access more details on the distance learning Masters program here and the campus-based MSc here. Anglia Ruskin’s MAPP is for applicants who want to use positive psychology in a wide range of fields. That includes training, civil service, life coaching, industrial/organizational settings, education, healthcare, NGO, or social work fields. Counselors and therapists interested in applying the relevant theory or approaches in their practices can also pursue this Masters, which is assessed entirely by completing coursework. Like the UEL MSc just covered, the Anglia Ruskin MAPP takes place partly through on-site, face-to-face classes and partly online. Positive Organisations and Appreciative Inquiry. Entry Requirement: A Bachelor’s or another undergraduate degree with 2:1 honor—in any field of study. Where: Anglia Ruskin Campuses in Cambridge and Paris, and online. Dates: Semester 1 takes place in Cambridge, starting September; Semester 2 is in Paris and starts in January. Duration: 15 months full-time, 27 months part-time. Price: UK/EU rates are £10,700 per year (full-time) or £5,350 per year (part-time); International students pay £13,700 for a full-time year and £6, 850 annually (part-time). Another Masters program that welcomes applicants from a vast array of disciplines. The Buckinghamshire New University (Bucks) MAPP looks at topics such as wellbeing, strength, happiness, and purpose. Theory, techniques, and practices are taught in this two-year course, which culminates in a dissertation. As well as this, the course covers research methods and the history and evolution of Positive Psychology as a field. It is designed to provide students with the practical and thinking skills required in careers such as Positive Education, training, coaching, and similar. There is a dissertation for students to complete at the end of this; students not wanting to undertake the Masters can also consider the University’s Postgraduate Diploma or Certificate in Positive Psychology. Entry Requirement: Applicants with professional experience in Positive Psychology or a relevant related field are considered, as are graduates with a 2:1 Bachelor’s degree or above. Price: UK and EU students of the Flexible & Distributed (Distance) Learning course pay (starting September 2019) £3,300 for the first year and £6,600 for the second. Here is the official site for this program. Delivered online and on-site, Universitat Jaume I of Castellon’s MAPPA is the first of its kind in Spain. Endorsed by the Spanish Society of Positive Psychology (SEPP), blends theory and practical applications to explore the field and its science in-depth. This MAPPA features a mentoring program so that students receive guidance through their studies and final project, and professional development is emphasized through both mentorship and academic training. There are also opportunities for students to pursue an internship and undertake a creativity and entrepreneurship seminar. Entry Requirement: An undergraduate degree—ideally in Psychology or a closely related field, or students who have completed a certain amount of undergraduate study. Price: Registration was €2,200 in 2018, which includes a €300 reservation fee. Find out more about the course on their site. Australia, in particular, has seen a large growth in public attention on Positive Psychology. Fields such as Positive Education, Positive Psychotherapy have grown considerably, alongside the now much broader applications of Positive Psychology Interventions in myriad fields (Vella-Broderick, 2011). The most well-known MAPP in Australia is run by the University of Melbourne, and Associate Professor Vella-Broderick is one of the Centre for Positive Psychology members behind its development. Melbourne University’s Applied Positive Psychology Masters explores the concepts and theories of the field, as well as various key frameworks for wellbeing, positive interventions, and ethics involved. There is a strong emphasis on the use of Positive Psychology practices in leadership. Strengths-based skills, for example, are taught as an important part of students’ professional development. Run by the Melbourne Graduate School’s Centre for Positive Psychology, the team behind the course include Professor Lea Waters, Associate Professors Dianne Vella-Brodrick and Lindsay Oades, and Dr. Peggy Kern. It’s designed for those who wish to apply positive change and leadership approaches in health, law, business, education, psychology, and economics, and takes place over either one or two years. During the second year (part-time) or second semester (full-time), students undertake a capstone MAPP project to complete their degree. Entry Requirement: Either five years of professional experience or an equivalent combination of postgraduate study and work experience in a relevant field. Visit the Melbourne University website for more information about this Masters course. 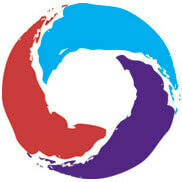 The Institute for Applied Positive Psychology (IAPP) does not offer a MAPP program at present. However, it does provide a selection of Master Classes, Intensive Applied Positive Psychology courses, and retreats. That is, the IAPP is a Positive Psychology training provider. The IAPP is based in Australia’s Norfolk Island and was established in 2014 to integrate academic theory with hands-on practical applications of Positive Psychology. IAPP courses are thus focused on the ‘how’ rather than the ‘what’ or ‘why’ of the field and their courses are suited, on the whole, for all kinds of practitioners. This includes professionals wishing to learn how to apply Positive Psychology approaches and tools in teaching, healthcare, organizational settings, and in communities more broadly. The IAPP also aims to develop a network of like-minded professionals driven by action toward personal wellbeing and development. You can learn more about the IAPP here. If you are keen to study in the States, there are other Masters programs in Positive Psychology besides the MAPP. This private, Atlanta-based University offers a Master of Science in Positive Psychology (MSPP), with three separate tracks that students can pursue. General Track – An online program with three quarters. In Quarter 1, students learn Introduction to Positive Psychology, Research Methods and Statistics, and The Science of Happiness: Approaches to the Good Life. This program offers a systematic take on the content at hand so students can graduate to apply PP across different environments. Coaching Psychology – Another three-quarter course that equips students to work inside scholar- or scientist-practitioner frameworks. It requires them to attend residencies, and graduates receive 210 hours of coach training so that they are ready to take Approved Board Certified Coach (BCC) exams on completion. Secular Ethics and Contemplative Science – This program takes six quarters to complete and involves students engaging personally with Positive Psychology Interventions such as meditation, Cognitively-Based Compassion Training (CBCT). It is a specialization in contemplative science, studies, and psychology including modules such as Compassion: Science, Theory, and Practice, Introduction to Secular Ethics, and The Art of Self-Care: Mindfulness, Meditation, and the Mind/Body Connection. Students’ final assessments will vary depending on the track that they’ve chosen. 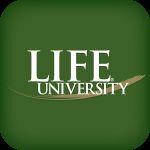 Where: Both online and on-site at Life University’s Atlanta Campus. Dates: There are four yearly intakes for the Coaching Track MSPP; April (Spring), July (Summer), October (Fall), and January (Winter). Contact the University to find out more about starting dates for the specific pathway you are interested in. Duration: One year (General Track and Coaching Track), or two years (Secular Ethics and Contemplative Science). Price: You can find the various costs at this link. Learn more about whether the Life University MSPP might suit you. Students in the African continent who wish to study an on-campus Masters can consider The North-West University’s MAPP program. The North-West University MAPP provides students with knowledge and skills for those already in a professional capacity, although this isn’t a strict prerequisite. The learnings will equip graduates with Positive Psychology expertise to apply in fields such as social work, charity, education, business, health, and public service, amongst others. It is a good foundation for those looking to pursue a Ph.D. in the field. 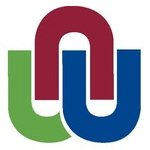 This program involves several sessions at the University’s Potchefstroom Campus during the first year of the Master’s. After this, students undertake assignments; in the second year, they do a mini-dissertation. A research mini-dissertation in Positive Psychology. Entry Requirement: An honors degree or its equivalent qualification with an average mark of 65% or above; this can be in Psychology or a related discipline. Where: North-West University, Potchefstroom Campus, South Africa. Dates: Selection occurs during October and November. Find out more about this MAPP here. A host of distant learning options are now available for all kinds of subjects in general. This includes Positive Psychology, and distance learning is opening up the field to students on a worldwide scale. Online Master’s programs offer professionals the flexibility to cover the course material at a time that works best for the individual, as they don’t require physical on-site attendance at lectures and similar. One of the key advantages of a Distance Learning Masters is that there are no geographical limits on attendance. Course content in distance learning courses is generally a combination of online lectures and interactive tutorials, delivered through the University’s Learning Management System (LMS). Students can usually ask questions and receive feedback through emails with tutors, and lectures themselves tend to be made available for download to maximize the convenience of e-learning. Assessments are often submitted online as Word Documents or similar, using platforms such as TurnItIn. Distance learning, in general, is often more economical than attending on-campus classes, however, they offer limited—if any—opportunities for face-to-face interaction. Here is one of the better-known online MAPPs available. While Central Queensland University is based in Australia, the CQU Master of Applied Positive Psychology is an online course. Students will consider the goals and applications of PP tools in different fields, with the course content integrating aspects from coaching, health psychology, counseling, community development, social innovation, and more. The overall aim is to equip (post)graduates with tools and skills for increasing wellbeing in others, both at a community and individual level. The applications of PP interventions and tools are considered at a broader, societal level, too, as this MAPP takes a holistic approach. An Applied Positive Psychology Project B – these latter two are thesis-related projects. Entry Requirement: Bachelor’s degree from an Australian College or University—in any field. Dates: Term 1 begins March, Term 2 in July, and Term 3 in November. Price: Full fees for Australian students are found here (pdf), and for international students, check this pdf. Find the official information for this program here at this page. To that end, the applications of Positive Psychology are extensive, whether you’re a dedicated practitioner or using the principles in another line of work. Having a Master of Applied Psychology can increase your employability in fields where human growth, development, well-being, and flourishing are important. This is especially true if your MAPP is specialized in a specific area. A quick glance at any of the Positive Psychology conference symposia will reveal a huge uptick in the use of PP approaches. Examples can be seen in voluntary or charity-based sectors, where resilience techniques and frameworks are applied in community or social well-being initiatives (e.g. Van Breda, 2018). Counseling, of course, often involves applying Positive Psychology tools to help individuals and groups facing adversity, or in crisis management. Positive Education combines traditional education with the study of Positive Psychology concepts, such as well-being and happiness. Curricula are now expanding beyond what are sometimes called ‘hard skills’, or core subjects such as Maths. More and more schools are encompassing PP-related aspects both into classroom management and teaching practice. As well as this, the concept of Social and Emotional Learning (SEL) is fast becoming part of curricula, with emotional intelligence at the fore of the movement. With Columbia University researchers finding a remarkably high ROI for investments on SEL at schools, demand for Positive Psychology skills can likely be expected to rise (Brotto, 2018). On the sports coaching side of things, Positive Coaching involves using science-based PP techniques and approaches to coach and develop athletes (Pidgeon, 2019). For most coaches, a MAPP can thus be a means of enhancing their existing practices, while expanding their professional toolkits. Nonetheless, there are now various MAPP pathways that can lead to accreditation, and help aspiring coaches to practice independently with a license. Some are included above, and we will update this page as more MAPP programs are introduced. If you know of a Masters of Applied Positive Psychology that hasn’t been included in this article, please let us know. Or, if you are looking for a different academic pathway to grow your PP skill set, have a look at our page on Positive Psychology Courses. Peterson, C., Park, N., & Sweeney, P. J. (2008). Group well‐being: morale from a positive psychology perspective. Applied Psychology, 57, 19-36. Van Breda, A. D. (2018). A critical review of resilience theory and its relevance for social work. Social Work, 54(1), 1-18. Thanks for the interesting advice. This site will help to cope with any academic task. Customized case studies are now easy to do thanks to Admissionservices. A new MAPPA master in Spain at Universitat Jaume I of Castello held ( Link), this is lead by Link and Merche Ventura . This is a presential and online course, so we are people from Spain and also from Puerto Rico, Mexico, Uruguay and Venezuela. There is an exciting new series of MSc APP courses underway in Singapore, via Anglia Ruskin University and The School of Positive Psychology. The first is Asia!! Hello Tara, thanks for letting us know. We will be sure to add them to the list. Glad that Asia is part of finally part of the MAPPiverse. 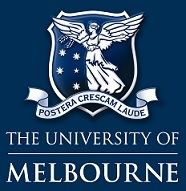 Hello I was hoping to apply to the University of Melbourne who offer MAPP. My question is regarding whether this masters is recognised in australia (and aliike) by APA? My main objective is become an allied health professional (requiring registration). I just wouldnt want to waste my time in applying. I cant’ seem to get any answers…. I am applying at the moment to the MAPPCP at UEL. I was wondering if anyone here had done it? All the teaching is on weekends (one weekend per month). I am planning to do it full-time so wonder what I would do all the rest of the time?! Is it busy enough to study all the time? Or are you always out researching/ coaching? Also – how do you find people to coach? Do you get a job in an organisation, take a voluntary role or just ask people if you can coach them?! Hi Kirsti – I have applied to start in Jan 207 and just came across this feed and am worried now because I can only do the distance learning. Can u give me feedback on whether you found it ok? Any comments greatly appreciated ???? Hello! thank you very much for the comments. 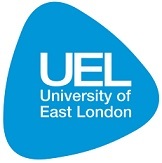 I am about to enroll at UEL for the MAPP and Psy of Coaching. Does anyone of you has the experience about the coaching module please? I am already trained as a coach and I am wondering whether to go through it again via UEL – what is the added value? I’m hoping to attend the MAPP at either UEL or Bucks – in the review above you mention Bucks has a ‘somewhat unique curriculum’ – is that in a good way? Also the UEL course seems to have changed a little and incorporates a coaching element now. Any thoughts on which one would be better? I’ve just applied to Bucks. I’m yet to discover whether the “somewhat unique curriculum” is a good or bad thing!! Did you make a decision? Hi! I plan to apply to the MAPP programme at UEL for either this September or next year. The entry requirements state that all applicants would need to attend an interview. Could anyone who has done/ is doing the programme tell me what time of year that usually is, and if it could be over Skype? I would be moving to the UK from South Africa for the programme if I were accepted, so before that time would be in SA. I completed the MAPP programm at UEL. From memory the interview was conducted over Skype. FYI, I live in Australia and actually completed the entire program without attending UEL. Thanks for the info, Ben! Hi Ben…Good to know that you r done. How was ur experience. Can you plz share ur experience with UEL online MAPP in detail.I ‘ll be grateful. Like Uzma, I would also really appreciate your feedback as to how you found studying successfully with UEL from Australia. Im in NZ and hoping to do the study Thanks! I am also very interested in studying Positive Psychology as a postgraduate degree. I am particularly interested in the one offered at UEL in combination with Coaching Psychology, I am a little worried about the administration issues, but since I will be studying in London and not doing it online, I guess that might help. Due to the fees, I will probably study part time. In order to make the best informed decision, I would really appreciate it, if former or current students could share their experiences about MAPP courses they attended in the UK. Please be so kind and sent me an E-Mail or comment here, that would help so so much! 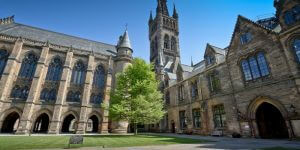 I was also wondering if there are any study abroad options, so that I would be able to experience a different University for one term for theses particular programmes. I’m doing the MAPPCP at UEL via distance learning part time (I’m based in Australia). I’m only a couple of months in, and while I am sure that the academic credentials are brilliant, I’m afraid I have to agree with many others comments here that the admin is an absolute nightmare. The cohort (both DL and OC) seem to be very disengaged – no-one has volunteered to be a student rep and so I despair of any genuine feedback being given. The few lecturers I have had contact with have personally been extremely helpful and responsive, and I really feel for them having to deal with all the admin issues that clearly are not their fault. Perhaps the OC students are having a better experience – I hope so! I intend to continue – as I said, the academic credentials of the university and the lecturers is excellent – but dealing with all the admin stuff is not for the faint hearted, that’s for sure! Thank you for sharing your impression! Is anyone of you guys currently studying the Msc Applied Positive Psychology at Bucks University? If so, what are your experiences? That would be another Master I am interested in! Best of luck to you as well Ciara. I’m sure you’ll figure out what’s best for you. If you ever have any other PP-related questions or just feel like connecting, do stop by! Hi Seph, just wanted to update you re the MAPP course at UEL. They have merged it with the Coaching Psychology course so now it is a MSc in Applied Positive Psychology and Coaching Psychology, the first of its kind. I have applied and am waiting confirmation of a place – very excited to join this growing community! I am hoping to study the MAPP course at UEL by distance learning. However I have heard from other students who have studied this way that it is very difficult and if it was at all possible I should try and study part-time. I would love to get in touch with anyone who has done this course by distance learning if possible. I have just finished the first year of this and like many am not continuing because of these difficulties. The lecturers are wonderful but the administration of the program is horrendous. It doesn’t sound like much, but things like being unable to access the student site, being accidentally unenrolled the week before major assessment is due, and major deficits in communication really make a big difference and add a huge amounts of stress. If you are able to attend in person (I’m on the other side of the world so relied on email communication) that may help to resolve some issues, but there are also other courses available by distance.